As the temperatures dip during this time of year, it is crucial to be prepared for an extreme cold weather emergency for both our homes and our bodies. A major risk as temperatures drop is that of a house fire. As our home heating unit may not be adequate to handle the heat or do not work entirely due to a power outage, we try to compensate with other means of heating our homes, putting us at a higher risk. • Have your furnace, chimney and flue inspected by a professional each year to make sure that they are in working order and there are no cracks or defects that have developed that could put your family at risk of carbon monoxide poisoning. • Use only indoor approved supplemental heating devices. Using propane burners or other devices meant for outdoor use can put you at risk of either fire or carbon monoxide poisoning. • Using your stove or oven to heat your home is not recommended. • If using a fireplace, kerosene heater, or wood stove to supplement the heat in your home, make sure you have smoke detectors installed and check the batteries at least once a month. Never use coal or paper to fuel a fireplace. Make sure to use a screen large enough to catch all sparks. • Make sure all heating devices are well ventilated. • Portable heaters should be kept well away from any flammable materials. • Never leave portable heaters unattended. • Use only the recommended fuel for your portable heater. • If using an electric portable heater, plug it directly into the wall and avoid using an extension cord. Make sure the cord is not a trip hazard as it may be unexpected if in a well traveled area. • Never place a portable heater on top of a piece of furniture. • Insulate any water lines that run along exterior walls. These can freeze in extremely cold weather. • Use battery powered lights instead of candles in a power outage if possible. • In a power outage, avoid using a generator indoors. • Keep plenty of extra water on hand in the event of a pipe line freeze. • If your pipes do freeze, use a hair dryer or electrical tape to thaw them. Avoid using propane torches to thaw a frozen pipe. • Close off unneeded rooms to conserve heat energy and stuff towels or rags under the doors to seal the room off. • Make sure all members of the household know what to do in the event of a fire. In extreme cold conditions, our bodies are prone to damage and eventually, death if exposed long enough. Elderly and infants are especially vulnerable to cold temperatures. The older we get, the harder it is for us to feel drops in temperatures and we may be at risk for exposure. Infants cannot increase their own body temperatures by shivering. This is only something that adults can do. • Drink warm, non-caffeinated, non-alcoholic beverages to stay warm. Caffeine and alcohol cause your body to lose heat faster. Warm, sweet drinks help maintain the body’s temperature. • Avoid going outside, especially if it is windy. This can lower your body temperature quickly. • Keep dry. If your clothing gets wet, change to dry clothing immediately. • If you start to shiver, find a way to get warm immediately. 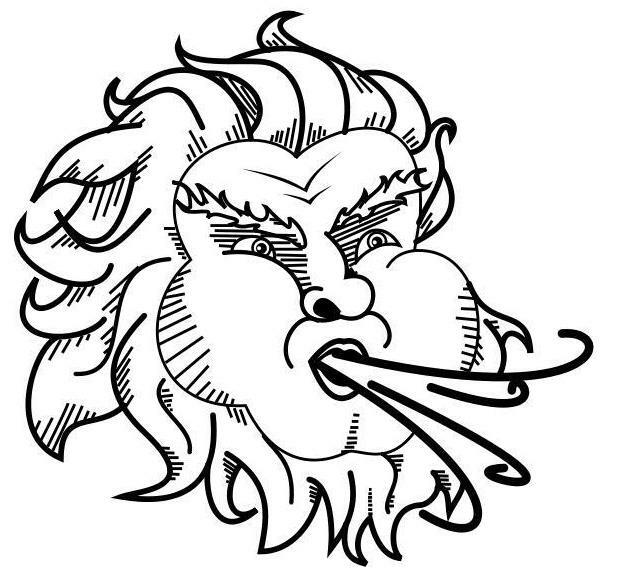 • Observe the weather for wind chill factors. Know what the “feels like” temperature is before going outdoors. 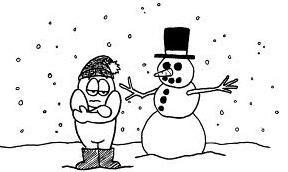 • Know that hypothermia can occur at temperatures above 40 degrees if exposed long enough. • Monitor your temperature if you suspect hypothermia. If your temperature is below 95 degrees, seek emergency help immediately. o Immerse the damaged area in warm water. Do not use an external heat source such as a stove, heater, etc. to warm the skin. If left outside in extreme cold conditions, some pets can suffer hypothermia just as humans do. Bring your pets indoors with you during extreme cold if possible. If not the warmer living area, the basement or heated garage would be better than the outdoors. If pets must be kept outside, moving them closer to the home against a wall or in a car port where they can be sheltered from the cold and wind will help. 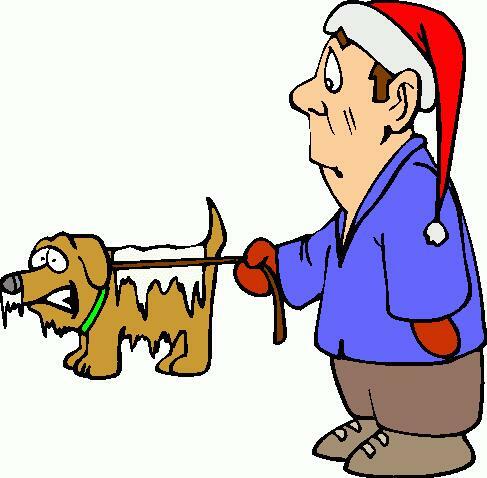 Make sure pets kept outdoors during the cold have a good unfrozen water supply.